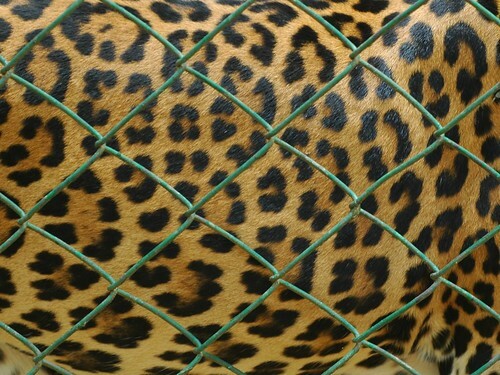 I think this picture represents my view of the animals at the Bannerghatta National Park. It was bchandan's idea to go there on Saturday and we were supposed to meet up at 8:30am but as usual ashvinm turned up late and bchandan too was late this time; we started at 9. The Grand Safari(includes the Tiger, Lion, Bear and herbivour safaris) was at 10:30 and we had some time before that, we had a look at a few animals near the entrance; we were lucky that the peacock thought it was time to start wooing the hens, we got to see and hear the full spread of the peacock's features. The grand safari makes you realise how much the animals have got used to human presence; The bears were the only ones that showed a little worry for the buses, moving away a little; the tigers were all near the gates and the fence(wanting to get out, I guess), this was the first time I saw them that close and they are huge; A couple of lions just sat by the road yawning and not making a move. After the safari, we went around the park and were done by 1pm. We went to the nearby hillock and took the 5min walk to the top. It was cool and breezy here and most of all calm, all you could hear was the wind in your ears -for sometime atleast- this along with the lunch was the best part of the trip. We headed back and had lunch at Udupi Garden at around 3:45, the sumptous lunch included masala dosas, vadas and bajjis( ashvinm taking some time to finish the huge Paper Masala Dosa he wanted). We ended the trip with some good strong coffee. Is that Moro with chandan? Who else. You see the camoflagued band around his wrist. Band? what happened? Was he trying to stand on his arms again?? I hope he understands that one needs to also look at the road while driving other than looking at people on the sidewalk. Photo of the elephants is very nice. Was the foot position by chance or did u wait for it? by chance of course! unless deepsan has become superman. It was a coincidence. I saw it later and gave it an appropriate title. brilliant pic.. it clearly represents the captive wild in zoos..